Not everybody needs to spend their vacations in luxury of a five-star resort, a comfortable bungalow on the beach or a full-service mountain hotel. There are types of people, especially among Locus users, who are much more romantic and adventurous. They are perfectly happy wandering across landscape on their own and stay overnight freely out in the wilderness. They just find a flat spot for their tent or bivvy, or enjoy hospitality of a simple open free-access dwelling – a hut, cabin, shed, shelter… And they don’t have to camp in such places – they can protect them from unfavorable weather. Recently we came across a website collecting such dwellings an a database. The webmasters abandoned the site long ago, the design is obsolete, posts in the forum dated back to 2011 and a lot of things don’t work as we’ll discuss in more detail later. However, the database LIVES its own life – the website users fill it and update it individually. The database can be found on Boudy.info website. It’s in Czech and the language switch doesn’t work but you can use any web translator to have it translated. The page named Index contains a “wall” of the lately added objects (here we can prove the database is still being developed and moderately updated). The Czech republic and Slovakia are the most densely covered, quite a lot objects can be found in Austria or Italy. Quite a curiosity is a list of shelters in Nepal or well famous equipped huts in Finland. The objects are sorted by types, each includes a brief description, a list of equipment, a map of surroundings, information about water source/supply, way of access and the most convenient visit time. Many of them don’t lack photos and comments of those who stayed overnight in them..
Now Locus doesn’t have objections and imports huts quickly. Where and under which name it’s up to you. We wish you a nice wandering! EDIT: our users responded with some tips for similar websites from which one looks really interesting: Tourenwelt.info. Keep exploring! 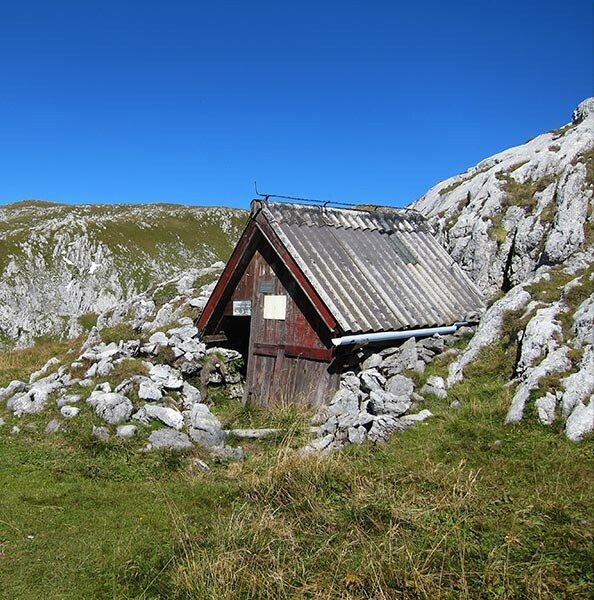 similar website in german language about some mountain huts in the world: tourenwelt.info. 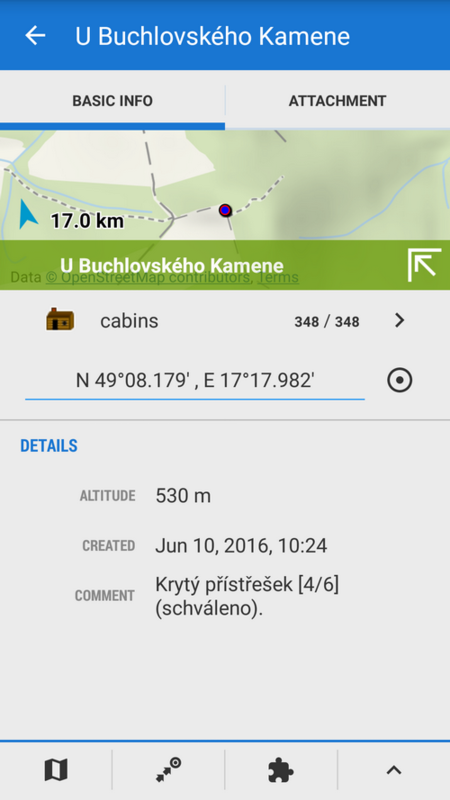 You can download all montain hut, village and summit within 20km as gpx file for example: select your montain hut, than go to register “geodaten” and scroll down to “Download der Koordinaten”. Zdravím, stránky znám již dlouhou dobu, koněčně vím jak použít gpx soubor aby fungoval v Locusu.Je škoda , že se o stránky již nikdo nestará, nějaká taková vlatsní databáze by Locusu velice slušela, a myslím že by to sní nikdy takto nedopadlo pod vaší správou. třeba náš článek pomůže probudit spící webmastery stránek. Důležité je, že databáze žije a je stále doplňována uživateli. Da sa aj pomocou GoogleEarth, zmenit ikonu,ulozit do klm a importnut do Locusu.